Scott Williams put his life freedom Kroger's Value Card Membership on the line to secure these remixes of the universe's most notorious Hutt Gangster. 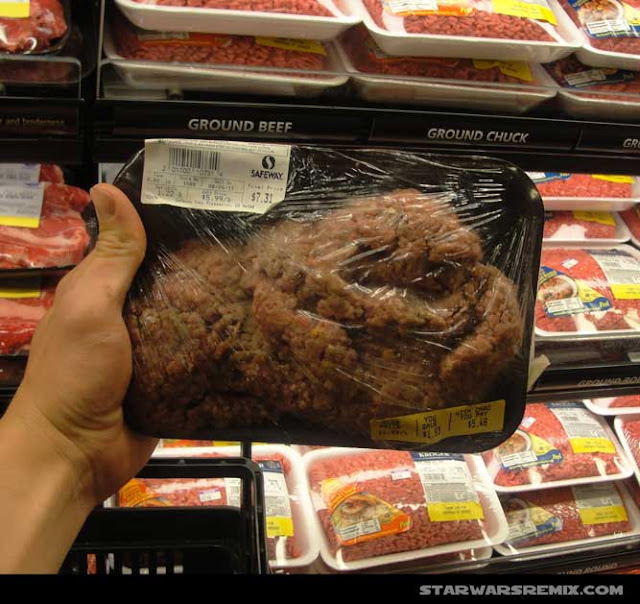 I walked into Kroger armed with my Jabba the Hutt meat puppet, and suspicion was immediately aroused. 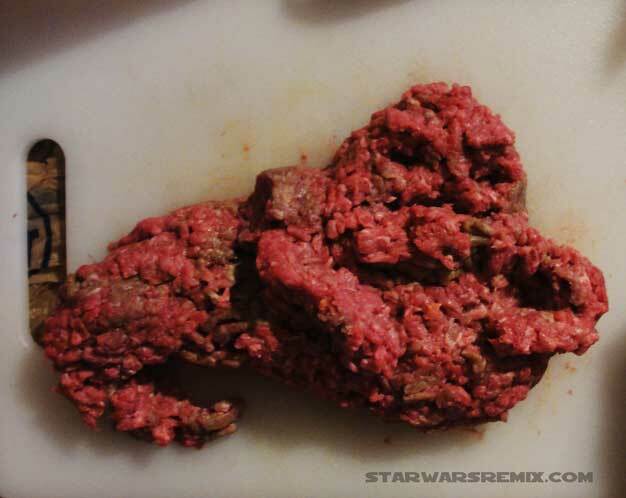 Maybe they sensed somehow that he was constructed from a competitor's meat, but whatever it was, it was confirmed as soon as I pulled out my camera and began to take shots of Jabba in the meat section. "Call to the Meat Department" paged overhead. Time to go. I headed towards the door, cooly, at first. 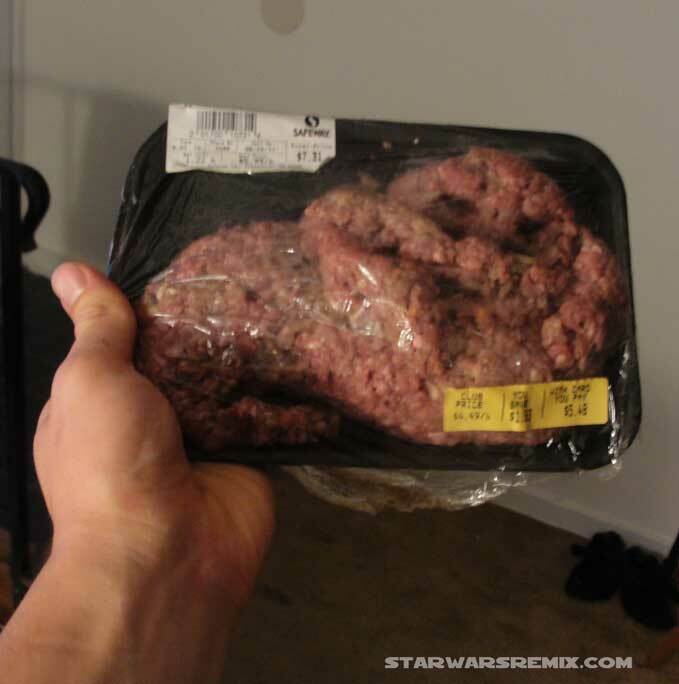 "CALL TO THE MEAT DEPARTMENT. SCAN AND RECORD." It was beginning to get serious! I picked up my pace. Almost there! I looked behind me and saw two aproned Kroger cronies hot on my tail. They're gaining on us! Jabba's got to go. I didn't want it to look like I was in the process of shoplifting a sci-fi-villain shaped package of meat so I plopped him into a nearby trashcan that sat next to the vegetable display. There was no way I was going to take the fall for an extortionist space slug - I didn't care how high the bounty would be. The automatic doors did their thing, and I made it to my escape pod, home free. 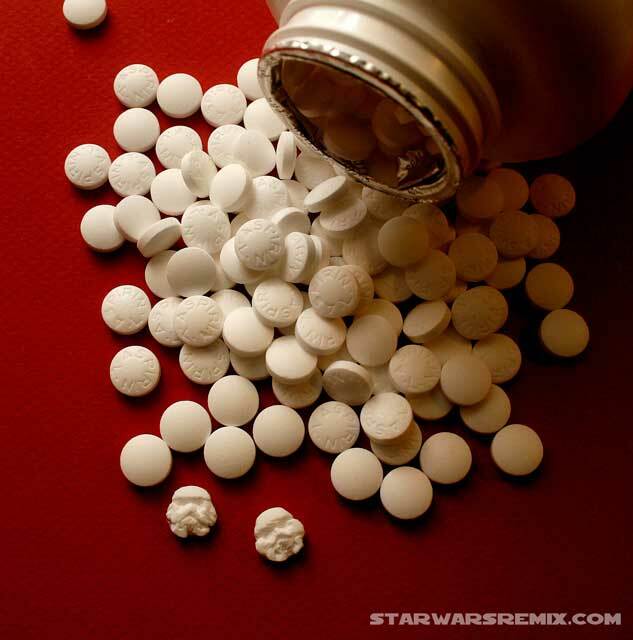 Noah Scalin (of Skull-A-Day fame) provided this remix of the common aspirin into a fearsome Stormtrooper helmet on a not-so-fearsome scale. The SWR team is thrilled to announce we'll be officially launching SWR on Tuesday, August 30th, 2011 with our first remixed image! We're already blown away by the pre-launch submissions we've received, and we can't wait to start sharing them. But you don't have to wait to start having fun. We're taking submissions now, so feel free to start remixing your world now. We suggest you start with "How to Play." And if you're looking for some ideas or inspirations, please take a look at Noah Scalin's Skull-a-Day project. It's five years' worth of awesome creativity and remix. Okay, we're back to work prepping for our launch. See you next Tuesday!